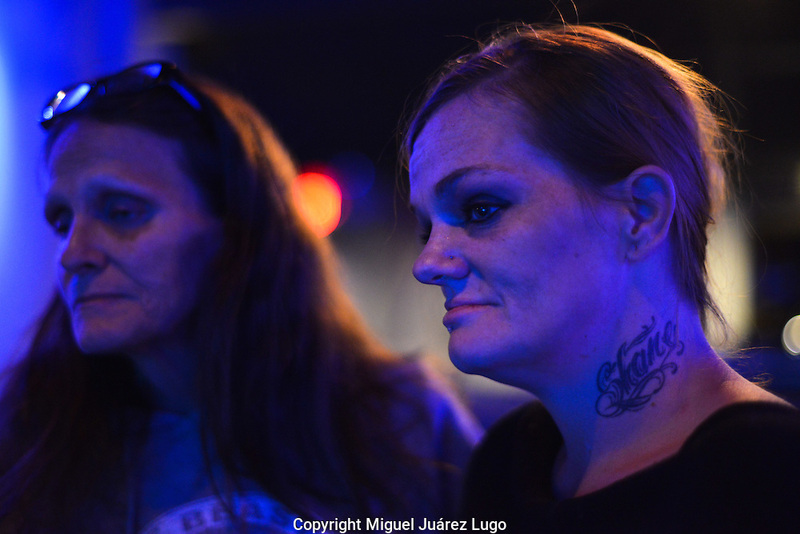 Chasity Holt, a 36-year-old heroin addict, listens with her mother Amy to a sermon at City on a Hill church in Cincinnati, Ohio. "I used to be a good person," says Chasity, who showed up at the church as a last resort, saying that she had overdosed only the day before. "I stole, I lied, I cheated, I burned so many bridges," she says of her life as an addict, which began with drinking, moved to crack, to painkillers and finally heroin. "My kids they were there witnessing all this." She has five kids, two of whom live with a relative and three live with her and her mother.